We support you and we support your expert from case inception to completion. We've done this many times. We're very good at it. We are the bridge between the legal and medical communities, giving access to the most qualified, unbiased top tier healthcare professionals who provide their knowledge to any litigation that could benefit from access to health care expertise. 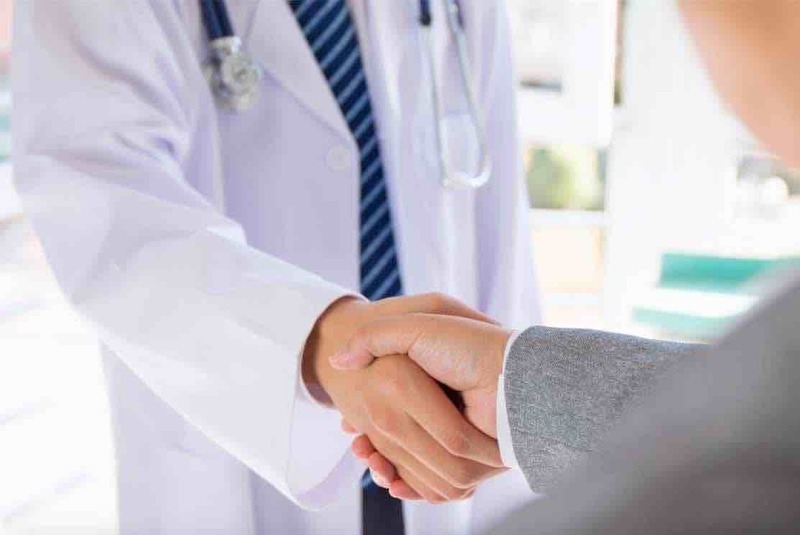 Since 2001, Connect Medical Legal Experts has provided medical expertise to more than 2,000 cases involving more than 300+ personal injury, class action and medical malpractice lawyers. We've partnered with some of the biggest firms in Canada, the U.S., U.K., Australia and the Caribbean. 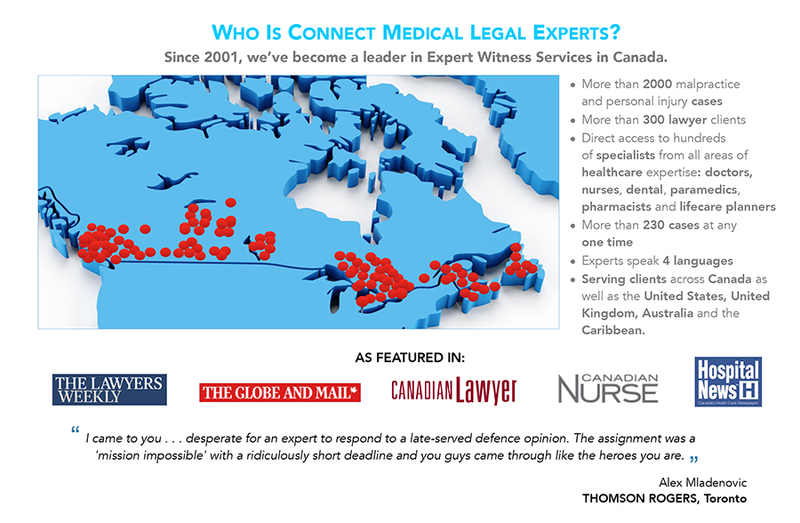 We've been featured in numerous publications, and recently launched Canada's only national network of Nurse Cost of Future Care experts. As you recall, I came to you a few weeks ago, desperate for an expert to respond to a late-served defence opinion. The assignment was a 'mission impossible' with a ridiculously short deadline and you guys came through like the heroes you are. An enthusiastic "Thank You" for the contribution you made. Chris and her colleagues have helped our office many times in locating leading experts in specialized and sub-specialized areas of medicine, in sourcing medical information and in helping us interpret and understand this information - invaluable in evaluating cases and preparing for trial. Each challenge we present is met with enthusiasm, dedication and access to a vast network of health care knowledge. 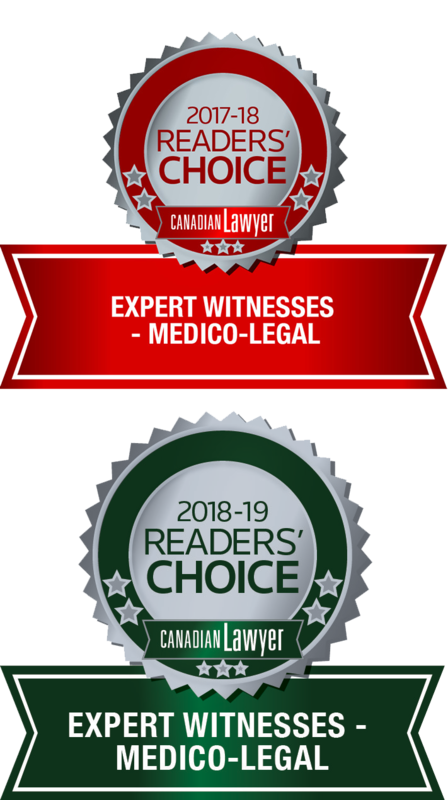 I have been counsel in medical malpractice cases for in excess of 25 years and have no hesitation in recommending Chris Rokosh as a first rate expert witness. In a number of cases where Chris has been retained she has demonstrated the necessary expertise and objectivity that the best experts must possess. Connect Experts has banished that age old barrier to justice, the inability to find an independent medical expert willing to give opinion. This service is worthy for use by lawyers and their clients who want to know if they have a case, and who want to win it if they do. I retained Connect Experts to assist me with a Cost of Future Care report for a severely brain injured young man. A Life Care Planner reviewed the medical legal reports from the various medical experts I had retained, attended my client’s residence, met with his parents, and generated a very detailed comprehensive Cost of Future Care report. I was highly satisfied. I would recommend this service to other personal injury lawyers with severely brain injured clients.